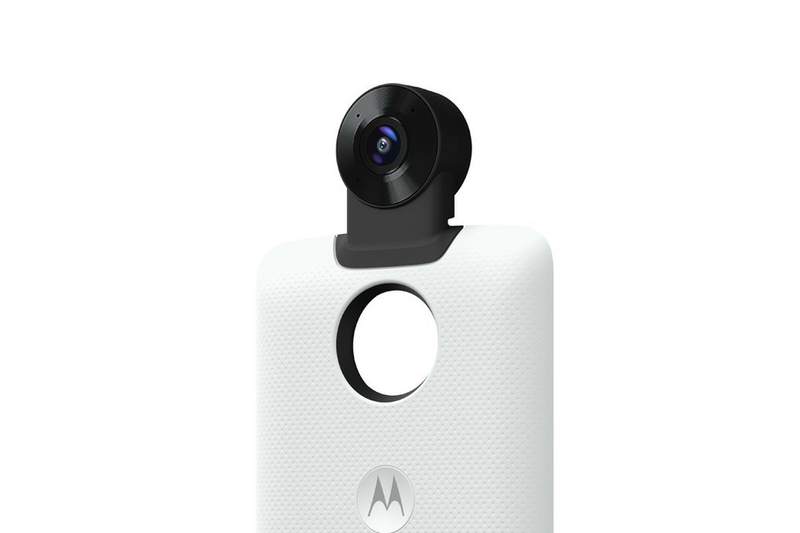 Motorola has announced a new Moto Mod that allows users to easily add a 360 degree camera to their Moto Z, Z Play or Z2 Play through the company’s modular case system, as revealed by Evan Blass on Twitter. The new case was showcased at a press event in Ghana, according to a report fromTechDroider, although it doesn’t seem that any further details of things like specifications, price, or release date have been announced yet. That said, we do know that the camera attachment just out off the top of the plastic back plate that attaches to Moto Z series devices like other Moto Mods, and features lenses on both sides to capture 360 degree images of the surroundings. Motorola’s new camera also brings to mind Essential’s upcoming 360-degree camera, which attaches to the Essential Phone through a modular system that will likely be one of the biggest competitors to Motorola’s Mod system upon the phone’s release in the next few weeks. For now, it’s unclear whether or not Motorola even plans to release the 360 Mod outside of Ghana, but it’s hard to imagine it will stay exclusive to just one country for long — especially since the Moto Z2 Play just hit Verizon stores in the US.